The Tether Ball with Steel Post Playground Set is a fun game that brings kids together to play and interact with each other. The ball mounts to the top of the post and is suspended by a cord. Kids hit the ball in opposite directions until one of them coils the cord completely around the post. 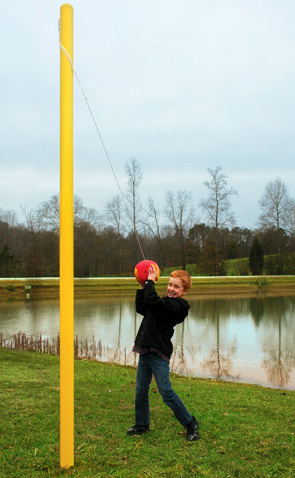 The Tether Ball with Steel Post Playground Set promotes exercise, group interaction, and is fun for the whole family. 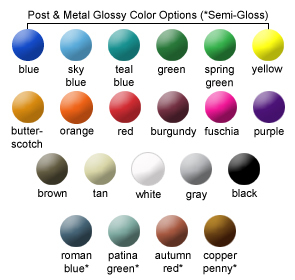 Constructed of galvanized steel tubing available in 21 different powder-coat colors. Powder-coated with a 5-7 mills thick, triple flo-coated corrosion protection for a superior, high gloss, no peel, no flake finish. Manufactured for commercial use and tested in accordance with ASTM standards.